Pharmacokinetics broadly refers to the analysis of the movement of drugs through the body. The technique offers a mathematical or quantifiable basis for the proper assessment of the effects and the time course of drugs in the body, allowing the quantification of the four key processes associated with drug exposure on the body: absorption, distribution, metabolism, and excretion. These pharmacokinetic processes determine the concentration of the drug in the body when medicines are prescribed. A detailed understanding of these processes is central to the appropriate design of a drug regimen for patients. The proper understanding of these parameters, along with details regarding the biological response of the body to the drug, is also central to the development and approval of every medicine. With the vast rise in drug development activities across the globe, the demand for effective pharmacokinetic evaluation of drugs and drug candidates has also significantly increased in the recent years. The scenario has prompted a vast rise in growth opportunities for the pharmacokinetic services sector and the trend is likely to remain strong in the near future as well. 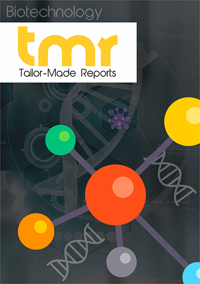 The report is an attempt to give the reader a thorough overview of the market, starting with the introduction of the variety of pharmacokinetic services in demand, before progressing to the leading application areas, key regional markets, and the competitive landscape, and a thorough forecast for the market over the years 2018 to 2026. Regulatory mandates imposed on the healthcare research sector pertaining to necessary studies that need to be conducted before tests are moved forward to human clinical trials have provided the most force for the positive development of the global pharmacokinetic services market in the recent years. Agencies such as the FDA and the European Medicines Agency recommend that studies that ensure the safety of medicines in humans, by analyzing the impact of a drug on respiratory, central nervous, and cardiovascular systems in animal models, be conducted before conducting human clinical trials. These guidelines have compelled researchers to conduct in-vivo tests along with conventional toxicity testing to ensure that the drug development activities are absolutely safe. This factor is expected to continue to usher the global pharmacokinetic services market to new heights in the next few years. The market is also expected to be driven due to the vast rise in funds being poured from pharmaceutical companies towards the development of new and more effective drug candidates for treating ax exponentially rising patient population suffering from a variety of chronic diseases across the globe. Moreover, the increased investment from government bodies into the healthcare and life sciences sectors are also leading to an increased demand for pharmacokinetics services globally. Socio-economic factors such as the rising expenditure of the global population on healthcare and the significant rise in the global population of geriatrics are also working well for the market. From a regional scenario, the pharmacokinetic services market has been analyzed in the report for regional markets such as North America, Middle East and Africa, Europe, Asia Pacific, and Latin America. Of these, the market in North America is presently the leading contributor of revenue to the global pharmacokinetic services market, thanks to the vast investment on drug development from the several pharmaceutical and biopharmaceutical companies in the region. The region is likely to continue to account for a significant share in the overall market over the report’s forecast period as well. However, the market in Asia Pacific is expected to emerge as the most promising regional market in terms of growth prospects over the forecast period owing to the steadily expanding pharmaceutical manufacturing sector in several emerging economies in the region. The proactive role of governments in encouraging the development of the biopharmaceutical and pharmaceutical industries in the region will also contribute to the growth prospects of the global pharmacokinetic services market over the forecast period. Some of the leading companies operating in the global pharmacokinetic services market are Charles River Laboratories International, Inc., Pharmaceutical Product Development, LLC, and Eurofins Scientific, Inc.